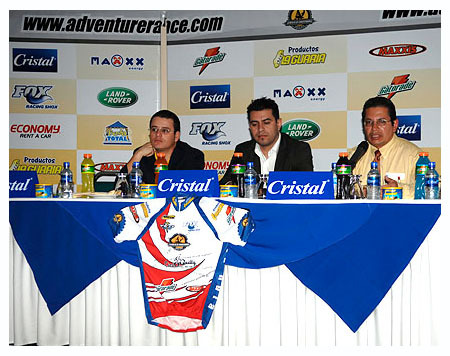 Yesterday afternoon, the organizers of Costa Rica's most famous bike race, La Ruta de los Conquistadores, held a press conference in San Jose to introduce the 2007 edition. 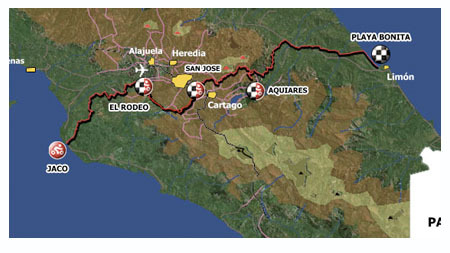 This year is the 15th anniversary of La Ruta, and the organizers have added an extra day (up to four from three), and extra distance and climbing. 1. Last year a significant proportion of participants could not complete the first day (which contained approximately half of the total climbing for the event). The final climb was a brutally steep and long off-road muddy slog, which did people in (earlier years had used a paved climb). Thomas Frischknecht called it "the hardest day of racing I have ever done". La Ruta takes place November 14-17.